CNC WorldSource is an Ohio-based strategic sourcing partner ready to provide the service you need to locate, qualify and manage vendors throughout the world. We deliver parts, logistics and inventory services to give you the JIT edge you need in an increasingly competitive global market. What's In It For Our Customers? In today's constantly changing global market, finding the best, worldwide supply partnerships has never been more critical for success-minded organizations. 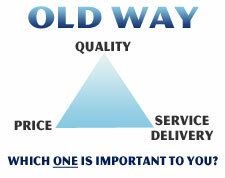 Quality Assurance WITH Cost Reductions AND On Time Delivery is a requirement... not an option. From Production Teams & Engineering to Purchasing Departments & Materials Management, corporations across the globe are required to increase profits without sacrificing quality and service. 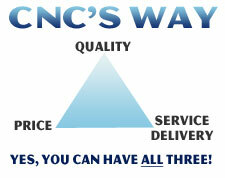 At CNC WorldSource, we already understand that Quality and Service must come with serious Cost Savings. Otherwise we won't waste your time. CNC WorldSource and our established network of manufacturing partners are committed to three simple objectives. Build strong relationships with our customers. Our disciplined processes, along with our overseas partnerships, eliminate the confusion, frustration and wasted time that most organizations experience when they work with "the wrong factory." Our customers take advantage of substantial savings from our expertise in finding The Right Factory. Ask about CNC's Cost Saving Advantage today... "If we can't provide immediate and significant value, we'll quit bugging you."